A rare double reflection or "optical inversion"-- atmospheric conditions were perfect! 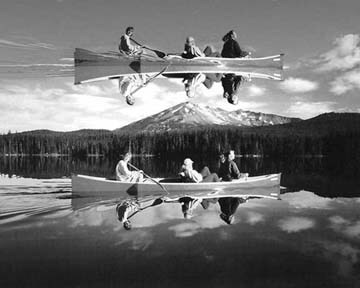 Observed in August 1993 at Summit Lake in the Oregon Cascades, Diamond Peak in the background. That's Hilary in the stern, Marilyn in the middle, Hillary in the bow.